With the political battle heating up in Telangana in the run-up to the Assembly poll, a group of Non-Resident Indians (NRIs) based in the United States has taken it upon itself to come up with a ‘People’s Manifesto’ through public consultations and debates with experts and citizens back home. The group, led by Ravi Mayreddy, a Philadelphia-based NRI from Telangana, has been running a campaign called ‘Dial Your Village’ (DYV) for the past three years. Under this campaign, every week, a Telangana village is contacted over phone from the U.S. and its opinions sought on a range of development issues. Sarpanches and experts are brought on board for a better understanding of issues and formulation of suggestions for better governance. The ‘People’s Manifesto’ is a new initiative under the DYV campaign. There is no Indian satellite on this flight. PSLV-C42 will be the first fully commercial trip of the year, breaking a five-month-long lull for the Indian Space Research Organisation. ISRO did not make any launch post-April 12, after it put replacement navigation satellite, IRNSS-1I to space on the PSLV-C41 rocket. A few days after that, it recalled its GSAT-11 from the South American launch port of Kourou and weeks before it was due for a launch ISRO Chairman K. Sivan said the interval was not connected with the satellite recall but for the sake of readiness of the two customer satellites. The countdown to the launch began at 1.08 p.m. on Saturday. The PSLV is being flown in its core-alone format, minus the external boosters. The two satellites together weigh nearly 889 kg; this is the optimum payload that a core-alone PSLV can launch, Dr. Sivan said. PSLV-C42 is scheduled for launch at 10.08 p.m. from the first launch pad of the Satish Dhawan Space Centre, Sriharikota. It will lift NovaSAR and S1-4 to a sun-synchronous (‘pole-to-pole’) orbit 583 km from Earth. The entire flight up to the release of the satellites is designed to happen within 17.5 minutes. 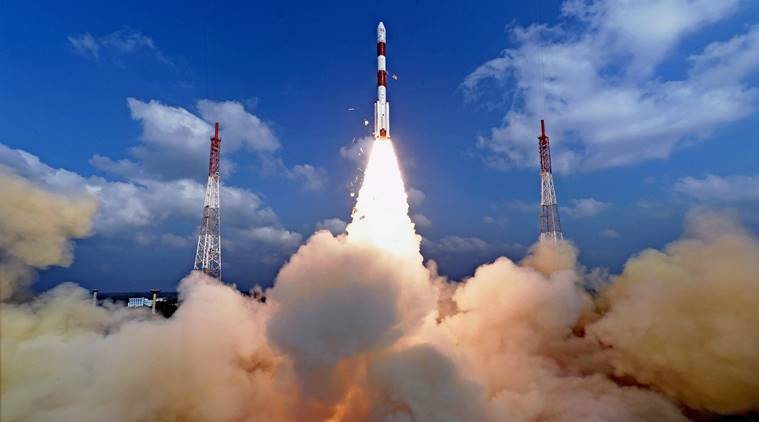 The satellites are owned by Surrey Satellite Technologies Ltd., which signed a commercial launch contract with Antrix Corporation, an ISRO release said. Prime Minister Narendra Modi launched the “Swachhata Hi Seva” (“cleanliness is service”) campaign on Saturday, and took up a broom to clean a school named after Dalit icon B.R. Ambedkar. Union Ministers and BJP leaders and workers participated in similar exercises across the country. He launched the “cleanliness is service” exercise to push for greater public participation in one of his government’s centrepiece programmes launched on October 2, 2015. It will continue till Mahatma Gandhi’s birth anniversary next month. Crack all the competitive examinations with The Tutors Academy, and get latest current affairs 2018. 4. Despite boycott threat, J&K civic polls to be held in Oct.
Jammu and Kashmir Chief Electoral Officer Shaleen Kabra on Saturday announced the dates of elections to the urban local bodies in the State despite a boycott threat by the regional parties. The Navy’s mega-deal for procuring six advanced conventional submarines under Project-75I and processed through the Strategic Partnership (SP) model is moving forward after being held up due to policy clarity. The Ministry of Defence (MoD) has initiated the process to finalise specific guidelines for the project, estimated to cost over ₹60,000 crore. The communication details the desired project outcomes under broad heads like creation of industrial eco-system, the range and scope of technology transfer, indigenisation content, indigenisation of the pressure hull steel, research and development and skilling roadmaps which have detailed enclosures. The foreign OEMs have been asked to indicate compliance for each para and sub-paras listed and also for all the enclosures along with their observations and remarks and submit their responses by September 11. “The meetings with MoD are likely to be scheduled in the week commencing September 17. Firm dates and timings will be promulgated at short notice,” the communication reads. Four foreign OEMs have responded to the Navy’s Request for Information issued last year. However, further progress got held up as clarity was required on some aspects of the SP model. The contenders are Naval Group of France, Rosoboronexport Rubin Design Bureau of Russia, ThyssenKrupp Marine Systems of Germany and Saab group of Sweden. From the Indian private sector only two companies, Larsen and Toubro and Reliance Defence, have shipyards and hence eligible to participate in the tender. Mazagon Dock Ltd, a defence public sector undertaking and the only Indian shipyard with experience of manufacturing submarines, is also expected to be considered. Get all the journal awareness Q&A, latest current affairs, and crack the examination with our support. Nearly 37 lakh women have received cash incentives under the Centre’s maternity benefits programme since the launch of Matru Vandana Saptah last year, a release from the Ministry of Women and Child Development said. The Pradhan Mantri Matru Vandana Yojana (PMMVY) offers pregnant women and lactating mothers ₹5,000 as assistance for the first birth in the family. The programme’s aim is to reduce malnutrition. As many as 48.11 lakh women have been enrolled in the Matru Vandana Saptah and the Centre has disbursed an amount of ₹1,168.63 crores to various States, the release said. 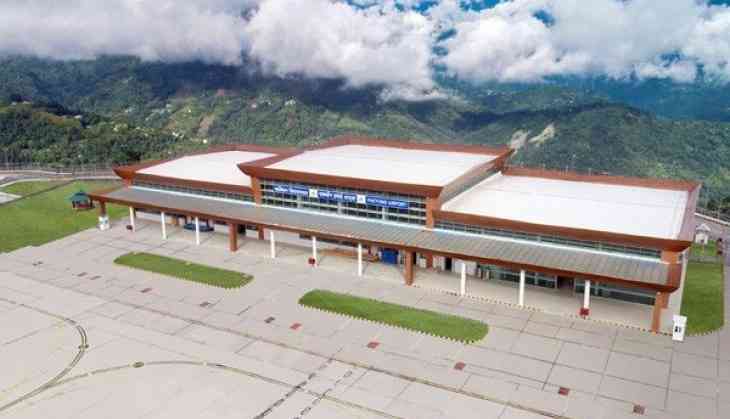 Prime Minister Narendra Modi will visit Sikkim on September 23 to inaugurate the state’s first airport at Pakyong. Mr. Modi will then address a public meeting at St. Xavier’s School ground at Pakyong and return to New Delhi the same day, Sikkim Chief Secretary A.K. Shrivastava said. Commercial operations of flights from the greenfield airport, located 30 km from the capital, will start next month, he added. 9. Does U.S. want India to import more? How much do we buy? According to the U.S. Census Bureau, India imported $25.7 billion from the U.S. in 2017 while it exported $48.6 billion to the largest economy in the world. The U.S.’s latest demand means it wants India to cut its trade deficit with the American nation by close to half, through increased purchases of civilian aircraft and natural gas. Between 2014 and 2017, India’s trade deficit with the U.S. has hovered over $23-24 billion annually. In 2017, it dropped by $1.5 billion compared with 2016, due to higher imports from the U.S. Till July this year, India’s deficit ran to $13.2 billion, not significantly different from the $13.6 billion for the same period a year earlier. Juxtapose those figures against China’s trade deficit with the U.S. — it was $375.6 billion for 2017. Mr. Trump is targeting imports from China (which, in his opinion, are taking jobs away from Americans) and has imposed duties on $50 billion worth of Chinese exports to the U.S. China has reacted with similar duties on imports from the U.S. With duties impending on another $200 billion worth of trade, he has most recently said his administration has lined up action on a third lot of $267 billion worth of Chinese imports into the U.S. This has roiled markets globally as trade wars benefit none. In the U.S.’s own case, for example, duties on solar panels, being sourced from China, have led to the sector forecasting a slower growth and flagging a loss of 23,000 jobs — the exact opposite of what Mr. Trump wanted. Buried under controversy is the remarkable story of 20-year-old Naomi Osaka, who was crowned the women’s champion at the U.S. Open this year. Apart from just the 6-2, 6-4 rout of her childhood idol Serena Williams, Osaka was praised for the calm she maintained in the midst of all the drama — code violations that ultimately led to Williams losing a game — and finishing the match clean. It was her first Grand Slam title. Why is her win important? 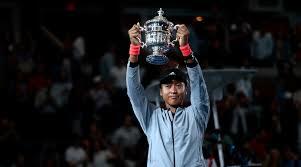 Born to a Japanese mother and a Haitian-American father and living in the U.S. for almost all her life, Osaka represents Japan in tennis. Her victory marks the first time a player from her country has won a singles Grand Slam championship. The feat even earned her a congratulatory tweet from Prime Minister Shinzo Abe. This was Osaka’s first Grand Slam final as well. Before her, the only Japanese player to reach a Grand Slam final was Kei Nishikori, who lost to Marin Cilic at the U.S. Open in 2014. Most importantly, Osaka’s win is further proof that the women’s tour — with its unprecedented depth — is in transition. When plants undergo injury, for instance due to an insect preying on a leaf, they send signals to other parts, a study has found. First they secrete glutamate which activates the glutamate-receptors to release calcium ions. This flows through the phloem and the plasmodesmata, warning undamaged leaves within minutes. A simple blood test can detect the earliest changes caused by Huntington’s disease (a fatal, hereditary disease) even before scans can pick up any signs in the brain. The study builds on recent evidence that a novel blood test can predict the onset and track the progression of the disease in people who carry the gene responsible for the incurable brain disorder. Blood testing could help identify groups of people with very early neurodegeneration and help run clinical trials of drugs to prevent symptoms. The researchers caution that the blood test is not yet helpful for individual patients. The findings have been published in Science Translational Medicine. 13. What is the BUFFALO survey? Description – This is the second and concluding volume of Gandhi’s biography that began with Gandhi Before India. The volume opens with Gandhi’s arrival in Bombay in January 1915 and takes us through his epic struggles over the next three decades: to deliver, among other things, India from British rule and to forge harmonious relations between India’s Hindu and Muslim populations. Description – We are living through the greatest communication revolution since Gutenberg. Reflecting on his 20 years as editor of the Guardian, and his experience of breaking some of the most significant news stories, including the Edward Snowden revelations, phone-hacking and WikiLeaks, Rusbridger explains why quality journalism matters now more than ever. Description – The Trump White House has been unprecedented in scandal and outrage since the inauguration. An insider, the former assistant to the President and Director of Communications for the Office of Public Liaison, exposes the truths of America’s current political reality. She relays details of Trump’s attitudes on race, women and the way he treats his family and staff. Description – A collection of diary pieces that Morris wrote for the Financial Times last year is now out as a book. Former soldier, journalist, and one of the great chroniclers of the world for over half a century, she writes in her characteristically intimate voice about her thoughts on the world, and her own place in it as she turns 90. To gain more knowledge and information, Read the latest current affairs 2018- The Hindu. GM Abhimanyu Puranik defeated Armenia’s Aram Hakobyam to claim the silver behind top-seeded Iranian Parham Maghsoodloo in the 11-round World junior chess championship here on Saturday. Puranik topped a three-way tie at 8.5 points, one less than Maghsoodloo, who was assured of the title with a round to spare. In the final round, the champion lost to Russia’s Andrey Esipenko. The second-best Indian was Harsha Bharathakoti who took the ninth spot. Among the girls, where Russia’s untitled Alexandra Maltsevskaya caused the biggest surprise by topping a two-way tie at 8.5 points from 11 rounds, V. Varshini was the best Indian, finishing 13th with seven points. Unbeaten Jose Ramirez kept his World Boxing Council junior welterweight title on Friday with a unanimous decision over Mexican challenger Antonio Orozco. The 26-year-old former American Olympian knocked down Orozco twice in the first defence of his title in front of his home crowd at the Save Mart Center in Fresno, California. Ramirez showed off his improved jab, as both fighters kept busy from the opening round to the final bell. The label is granted based on criteria including organisational excellence, elite field, prize money for male and female runners, quality of medical support among other considerations. Get Latest Current Affairs to update with The Tutors Academy, A place where student turn on their success in NDA, CDS, Airforce, and Navy Examination.